John Lewis has once again left rival retailers trailing in its wake in the annual Christmas campaign battle for hearts and eyeballs. 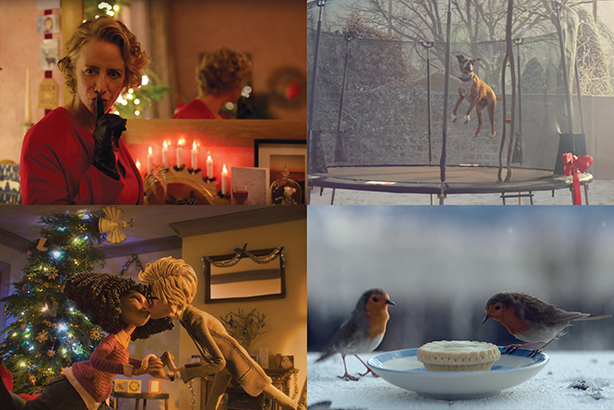 Approximately one month since the last of the major Christmas campaigns went live, and with less than two weeks of the crucial trading period left, John Lewis’ upbeat festive surprise, ‘Bounce’ has achieved a staggering 56 million views across YouTube and Facebook. Does 'talkability' and social media success at Christmas equal sales at the till? This dwarfs even last year’s John Lewis ‘Man on the Moon’ campaign, which received 24m views during the entire festive trading period. This year’s viewing figures are only 8 million short of the entire current population of the UK and it is no stretch of the imagination that the campaign may cover the remaining ground by Christmas. On Facebook, which accounts 34 million of its viewing total, the campaign has been shared nearly a million times and received 520,000 ‘likes’. And while it is possible that not every last man, woman and child in the UK has seen the John Lewis film - with its cast of cute woodland critters, the perfect middle-class family and a superstar boxer dog - the viewing figures hint at people watching it on multiple occasions, or else viewers from around the world ‘tuning in’ for this unique Christmas consumer curtain-raiser. On Twitter, John Lewis also leads comfortably, with Brandwatch data from 6 November - the day Tesco fired the starting gun on Christmas campaign season - through to 12 December, showing 240,000 mentions for ‘Bounce’, more than four times that of its nearest competitor. Of these tweets, 89 per cent mention happiness, while 8 per cent registered crying and 3 per cent registered dislike. The campaign’s nearest competitor for eyeballs and conversation, Sainsbury’s, has also turned in some impressive viewing figures, although so far they are still short of last year’s total for ‘Mog’s Christmas’. This year’s ‘Greatest Gift’, a stop-motion animation musical extravaganza with the voice of James Corden, has racked up 15.3 million views so far, with the vast majority of these via its YouTube channel. On Facebook, the campaign has received 12,000 shares and 13,000 ‘likes’. On Twitter, Sainsbury’s is currently in third place, with 47,000 mentions, of which 91 per cent register happiness, while 6 per cent mention dislike and the remaining 3 per cent crying. A surprise hit this year, following last year’s dismal and confusing effort, has been Marks and Spencer’s Bond-themed ‘Christmas with Love’ campaign, starring an elegant Janet McTeer as Mrs Claus. The campaign pitches perfectly to the retailer’s target demographic but has brought others along for the ride by creating an engaging story with a heart, with high production values to pack a punch. The reward is more than 14 million views, almost evenly split across YouTube and Facebook, along with 120,000 ‘likes’ and 110,000 shares. The campaign is currently in second place in the Twitter stakes, with 54,000 mentions, of which 89 per cent expressed happiness, 10 per cent crying and just one per cent registering dislike. Another Christmas campaign that has risen beyond its nice, yet tame, effort from 2015 is Waitrose's ‘Home for Christmas’ with its tale of a young Scandinavian robin travelling across land and sea to be reunited with his feathered companion. Home for Christmas has achieved 10 million views, of which nearly 7 million were on Facebook, where it also received 72,000 shares and nearly 160,000 ‘likes’. Last year, Aldi cheekily spoofed John Lewis’ ‘Man on the moon’ and scored more than two million views on YouTube for its trouble but this year’s campaign, starring vegetable-with-attitude ‘Kevin the carrot’, shows the power of coming up with an original theme. The 2016 campaign has garnered 6.3 million views, the majority of which on Facebook and has also prompted 32,000 people to share the film and 93,000 to ‘like’ it. However, the Twitter conversation for Aldi shows it has failed to break through for users of the social platform, with just over 2,700 mentions. In sixth and seventh place, of the major retailer campaigns, comes Tesco and Morrisons, respectively. Tesco’s ‘Bring it On’, which along with Morrisons launched on the Sunday following Fireworks Night, has amassed 1.2 million views, mainly via Facebook, while ‘Morrisons Makes It’ achieved 163,000 views. On Facebook, both campaigns received around 1,000 shares, but Tesco scored 10,000 ‘likes’ compared with Morrisons' 3,500. Tesco’s campaign has been mentioned on Twitter just over 1,600 times, while Morrisons received 1,400 mentions. WE Communications has also been carrying out its own tracking of the campaigns over the last six weeks using its unique ‘brand agility’ index, which measures ten parameters, including how brands use multiple channels, public engagement and how different a brand’s messages are from competitors. Using this index over the last six weeks, WE gave John Lewis 215 points, eight points clear of its nearest competitor, Aldi. M&S and Waitrose occupied third and fourth place respectively, according to the index. It is interesting to note the male/female split in Twitter mentions for the campaigns. M&S received the most female reactions, with 72 per cent of mentions from women, while Tesco’s campaign had the largest male percentage of reactions, at 55 per cent. Waitrose, meanwhile, achieved a near perfect male/female split in Twitter mentions, while reactions to the others were weighted towards women, at 61 per cent or above. Commenting on the Twitter data, Rob Leggatt, insights analyst at Brandwatch, said: "There’s no doubt that John Lewis has seen its usual success following the launch of its Christmas adverts. This is thanks to the retailer’s understanding of good storytelling. People will not share boring content and John Lewis knows it. Other retailers have recognised that 'meaning' matters, with brand mentions in the tens of thousands for M&S, Sainsbury’s and Waitrose."